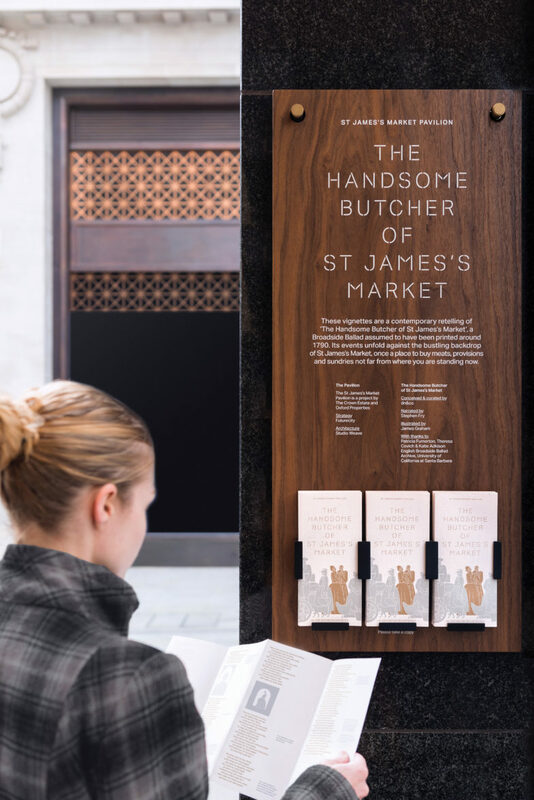 The Handsome Butcher | dn&co. 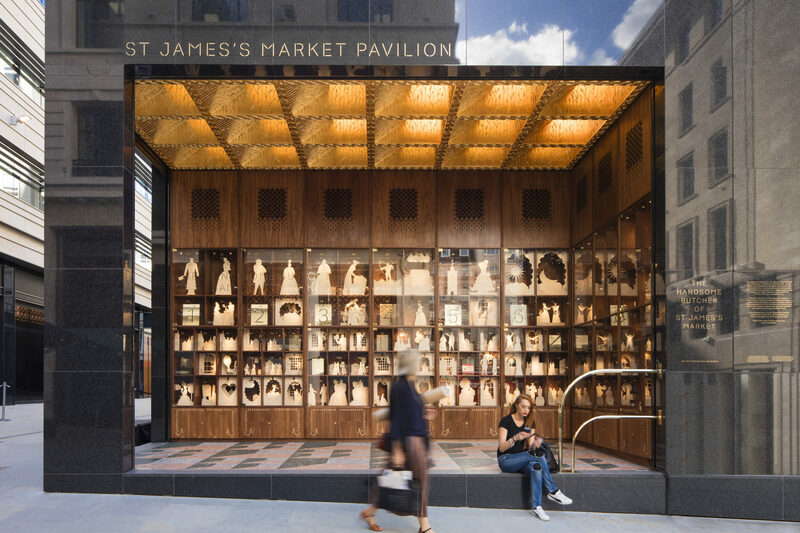 The St James’s Market Pavilion is an exhibition space by Studio Weave, designed to act as an immersive cabinet of curiosities. 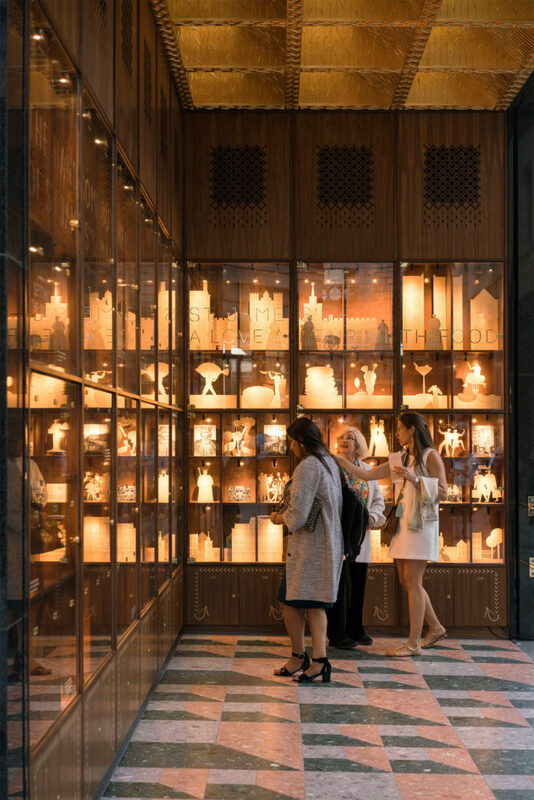 For the inaugural exhibition, dn&co created a compelling story to fill the cabinets. 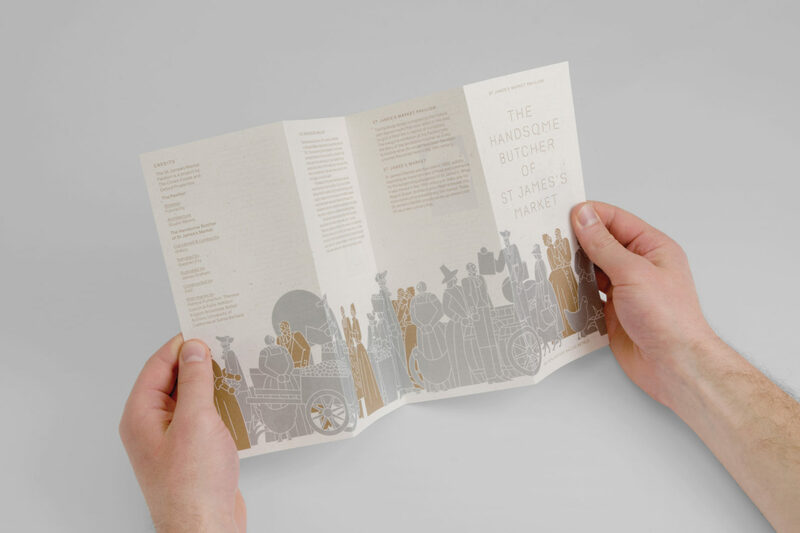 Our research uncovered ‘The Handsome Butcher’, a forgotten popular ballad set in St James’s Market that would have been recited on this very site more than two centuries ago. 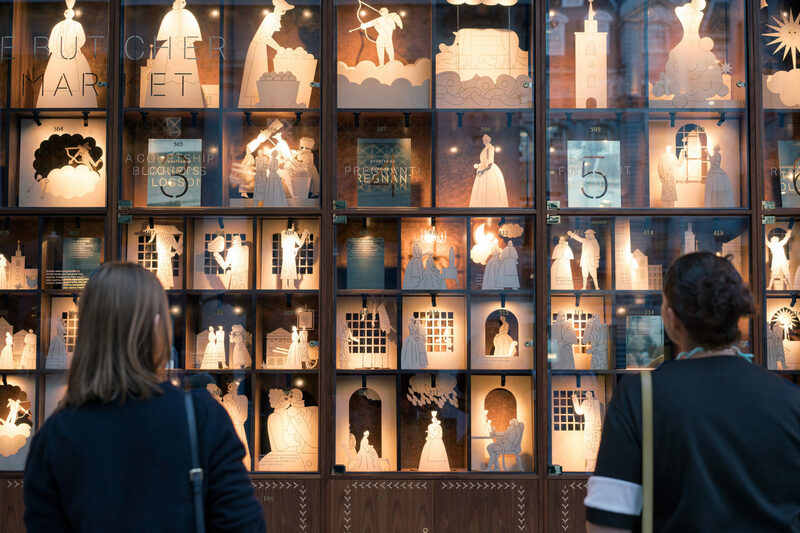 The exhibition retold the story of the butcher and gave new life to the thriving market that once stood here in the 18th century. 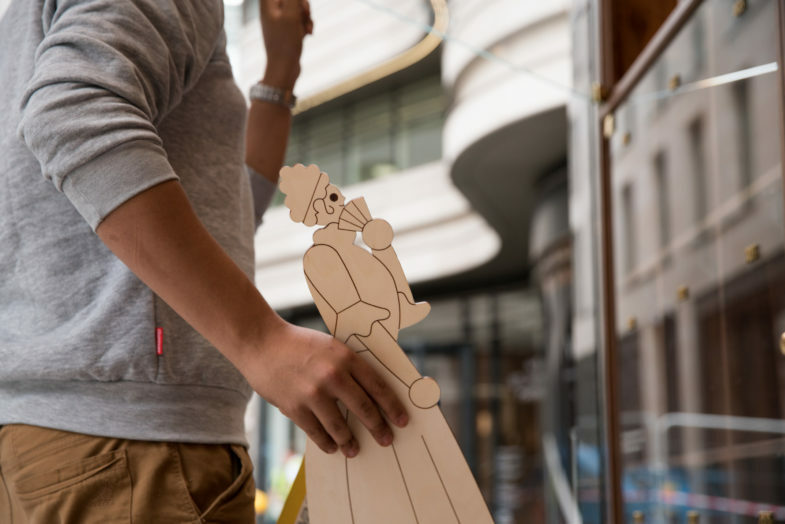 Inspired by Victorian paper theatre, we brought illustration by James Graham, animatronics from the studio responsible for Harry Potter and sound together to create an multi-sensory exhibition. 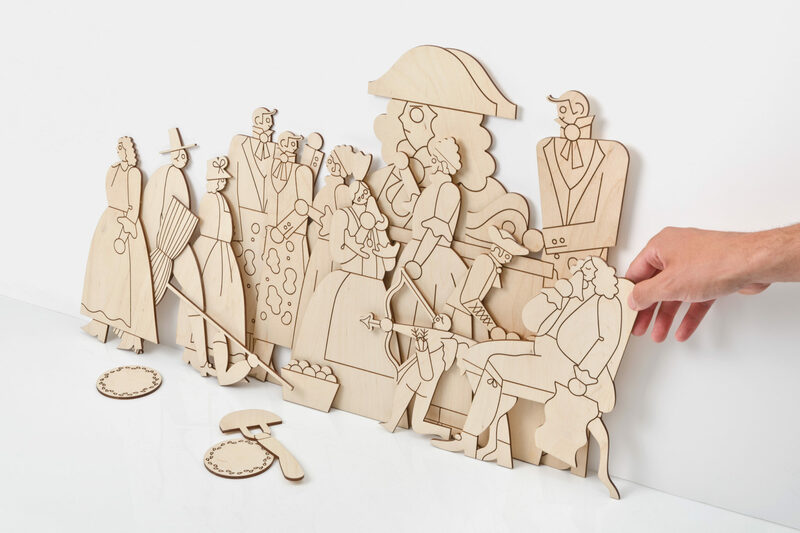 Over 300 laser-cut wooden figures filled more than 100 cabinets. As an added bonus, it was narrated by Stephen Fry. 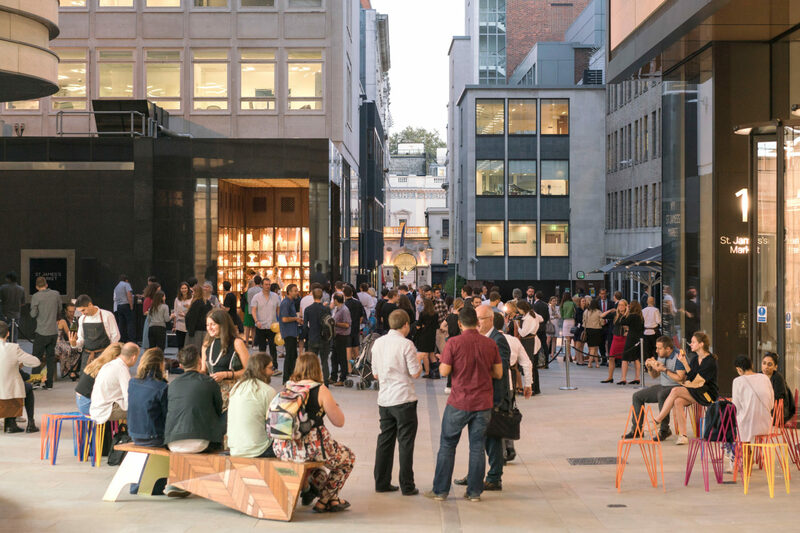 For five months, the public could enjoy this open exhibition. We also re-created the ballad sheet so people could read this ribald 18th-century tale of love and upward mobility at home.